This is another step in the Embroiderer's Ledger class. It's great fun and it definitely is stretching my knowledge base. Now it's on to the next part of the process! 1. 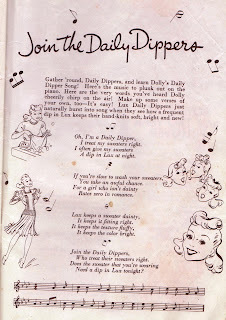 Karen from Sew Many Ways has posted some sewing advice dating from 1949. You really should read this and be sure you pay heed to the rules. Of course, I expect we all do....right? Go HERE for your laugh of the day. 2. Vicki of Field Trips in Fiber has a great summer sun hat she has made on her blog and if you follow the links there you will find she has done a tutorial for it too. 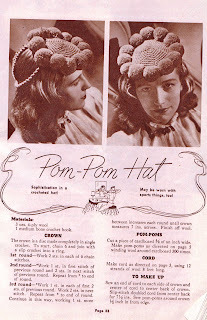 I don't like hats, but this one has me intrigued and I just might make myself one. Go HERE to see it. This is the first exercise in the new online class I'm taking from Karen Ruane called 'An Embroiderers Ledger'. The thought of trying to match colours scared the daylights out of me but it wasn't as hard as I thought it might be. If the colours don't match, please don't ruin my illusions of grandeur. I LIKE having my head in the sand because it's nice and quiet down here. A number of posters throughout the blogging world seem to be doing some organization and overhauls of their studios and/or working spaces. I thought perhaps it might be interesting to show my closet space in what I tongue-in-cheek call my 'studio' (which also serves as a second bedroom with a pull-out couch; the computer room; the only-place-where-the-water-cooler-would-fit; AND a bedroom for the cat). prior to taking these pictures! If you click to embiggen you can see more of the finer details (but perhaps you prefer not to!). Anyhoo... the lower right side of the closet has two 5-drawer shelving units that pretty much hold my crazy quilting fabric stash, sorted and labelled as to colour. The middle of that photo has another 5-drawer unit on the left side (more fabric storage) and the right side has more plastic units with smaller drawers that hold various crafting supplies. The upper right side photo shows the plastic shoe boxes I use for further storage - all labelled. The middle photo shows the upper left side - again, another plastic shelving unit. My handy hubby added the shelf and above that I store various sized plastic containers that hold yet more supplies. The 'lower left side' photo is conspicuously absent due to the fact that you really don't want to see the cat litter box!! I don't know if there are any ideas here that might be useful to anyone, but for lack of anything better to mumble about today, I thought I'd share. A number of you guessed correctly yesterday - the photo was of some wonderful lichen that was on a very old tombstone. It looks so much like rust and has such a beautiful texture. Meant to say yesterday that you're welcome to abscond with the image and use it in any way you see fit. It's too nice not to share! Speaking of things being too nice not to share, there's a wonderful tutorial HERE for a stumpwork ladybug, along with some variations. 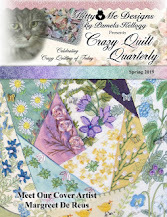 While you're there you might like to check out some of the other pretties that Elizabeth shares. In other news, I've signed on to take Karen Ruane's latest online class 'An Embroiderers Ledger' and I'm SO excited about it. Yesterday I made a trip to the art store and picked up my sketchbook and now I'm poised and ready to learn. I know, from having taken her white class before that I'm in for a good time and will learn a great deal. Go HERE to learn more. 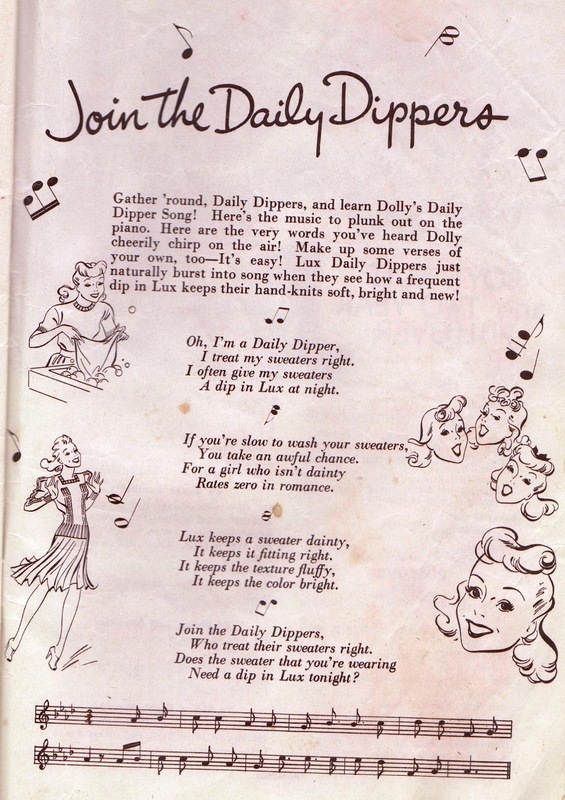 There's a lovely 'well' in the center which is perfect to store my ORTS as I go along each month. I can sort each of my needle types (loosely) into the sections on the cushion - much easier than having to keep hunting all over my current pincushion. Another bonus is that this one will hold *tons* of needles! Pattern is from a free tutorial found HERE and the fabric I used is hand dyed by Vicki Welsh HERE. Vicki was also the one who pointed me to the great tutorial. Can you guess where/what it is?? Well, I missed it again - the moon changed and I'm late posting my TUSAL (Totally Useless Stitch A Long) update for this month. Oops. Below is my little 'pile' of ORTS for this month. Obviously not much stitching got done! Don't forget that you can double click on each to get an embiggened version! The one above is just a little book and was copyrighted in 1987 in England. 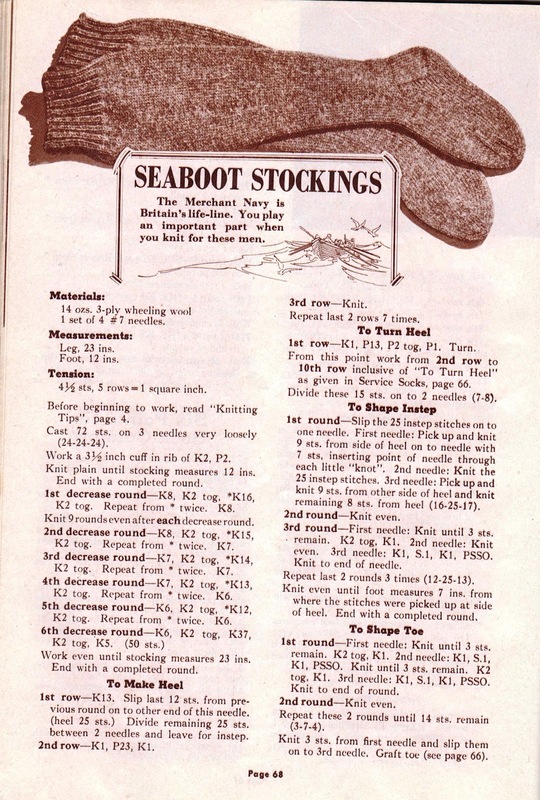 There are very good stitch directions in there, along with a number of patterns. The below book was the real find (at least in my mind anyway). It's huge (512 pages to be exact) and was copyrighted in 1979. It's full of wonderful reading material and lots of things to drool over! 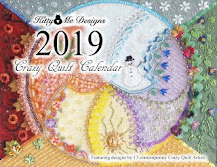 It covers knitting, crochet, knotted and wovenwork (including netting, tatting and weaving); embroidery, needlepoint, quilting and basic sewing. I was pretty happy to plunk down my $3.99 for the bigger book and I think the smaller one was only a dollar. Both were a steal!! 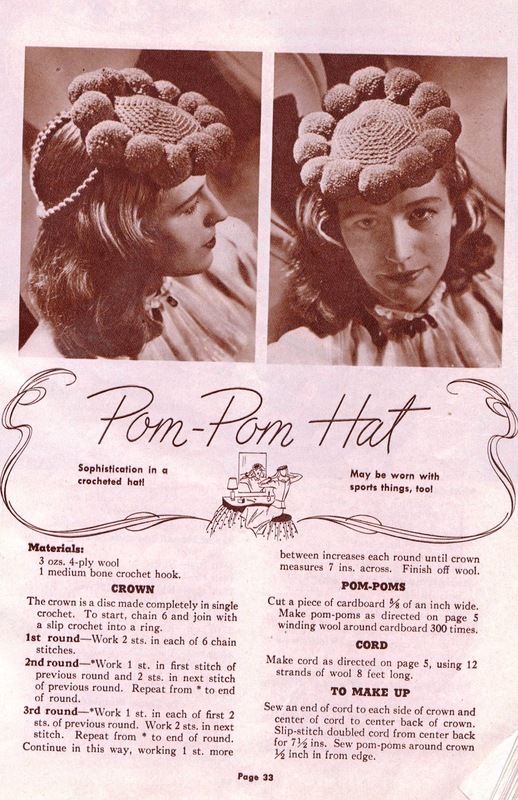 There are 112 pages of patterns for men, women, children and babies inside. 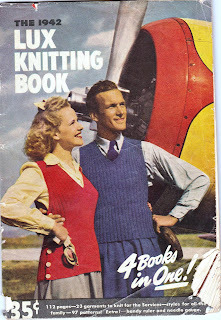 I thought the words inside the cover are worth repeating here..
quote..." There's work in plenty for willing hands, especially for those of us who can KNIT. 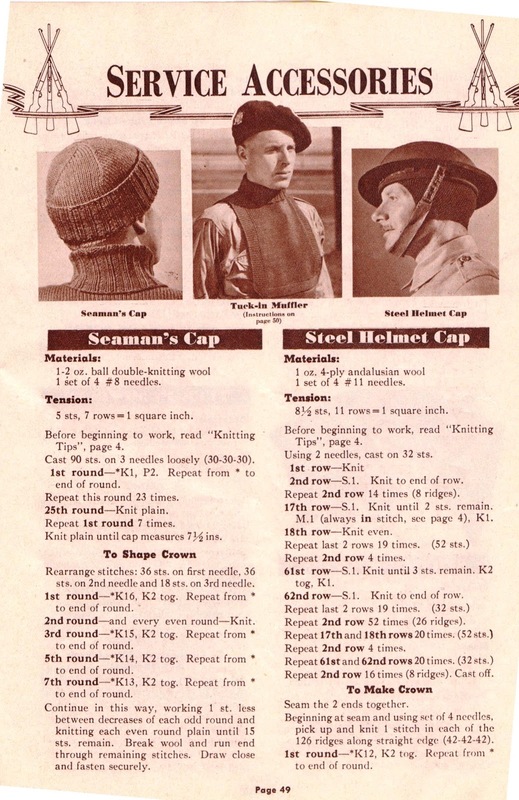 For knitting today ranks among the most important war services. The men of our fighting forces, both at home and abroad, are looking to us for the knitted comforts they will so sorely need during the coming winter. 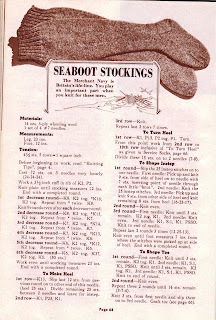 Warm clothing is urgently needed by the Navy and Merchant Seamen - guardians of Britain's lifeline and our own. And what of Britain's citizens - many of whom depend on help sent from Canada? The Red Cross, The Imperial Order Daughters of the Empire and other Canadian organizations appeal to you to see that adequate supplies of warm clothes are forthcoming during the winter months. Knitted things for women, children and babies are especially urgently needed. There is an old saying: "He gives twice who gives quickly." 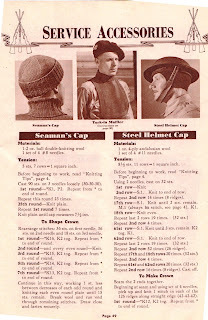 Start your winter war knitting now -wtih Lux Knitting Book patterns to help you! The new 1942 Lux Knitting Book is dedicated to you and all generous-hearted women who are helping to keep the flag flying on the home front."...unquote. The book if filled with charming illustrations such as the one below. I'll try to post a few more 'bits' from the book in the next while. You can click on the pictures to embiggen them if you'd like to see the detail! mama (or is that papa?). on our walk this afternoon. anatomy anywhere near those jaws!! they were extremely lucky to come across this one. This is the latest block for my white cloth that I've finished (only one more to go!). and here's a closeup. Lots of French knots to see! I was intrigued by the possible history so I 'googled' to see what came up. As it turns out the HMCS Venetia was a ship used in World War II. It was commissioned and built by the Fairfield Shipbuilding Company in Scotland in October of 1917. She had a speed of 34 knots, weighed 1100 tons, and had a crew of 134. According to the records I found she flew under the Canadian flag . Her forward was set on fire 23/05/1940 by gunfire from the Germans captured by the French shore batteries. She was also damaged in collision with the yacht 'Amuree' off Dunkirk. She was 'lost' (sunk) off the Knob Buoy in the Thames estuary 19/10/1940 and at that time was under the command of Desmond Craig. Just another interesting find while thrifting! Today our kitchen sink is a plant nursery. The aloe plant was in dire need of splitting up so I now have three babies and a momma plant. One of my orchid cactus' was trying to leave this mortal earth so I threw caution to the wind and stuck some springs into some fresh soil and will hope for the best. The cactus used to do really well in a north-facing window when we lived at the house, but we only have east windows here and they are struggling to acclimatize. Aren't you glad this series is over, at least for now? I can see y'all yawning from here (don't try to hide it, because I can see you!!). Anyway, this one is also from the 'Purseenalities - 20 Great Knitted and Felted Bags' book by Eva Wiechmann and is called the Vintage Bubble Bag. I'd like to make this one again! There, tomorrow we return to my regular mumblings and drivel.